Bring Scribe Tribe to you! 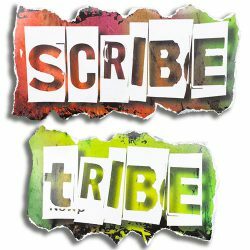 Running a Scribe Tribe course independently, Ali needs at least 20 attendees and a great venue. Do you live near a great venue and do you think there are 20 bright young writers within reach of it? Get in touch, using the form below, and see if you can help Ali to make a Scribe Tribe course happen near you. What will it cost? It may vary slightly, according to the cost of the venue and how far distant you are, but each session is likely to be between £20 and £25 per attendee (£100-£125 for the week). Each three hour masterclass will build on different elements of writing and the Scribe Tribers will receive a folder to keep all their work together.